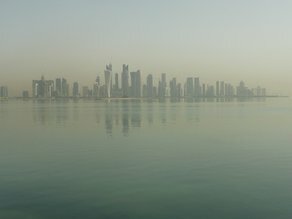 The Unlimited Doha Design Prize is a unique learning opportunity that brings together designers based in the UK and the Gulf region for a one-week design-residency in Doha, where they explore current issues in architecture and design, heritage and urban development. The Unlimited Doha Design Prize is organised by the British Council with its strategic partners the Qatar Museums and the Qatar Supreme Committee for Delivery & Legacy of World Cup 2022. 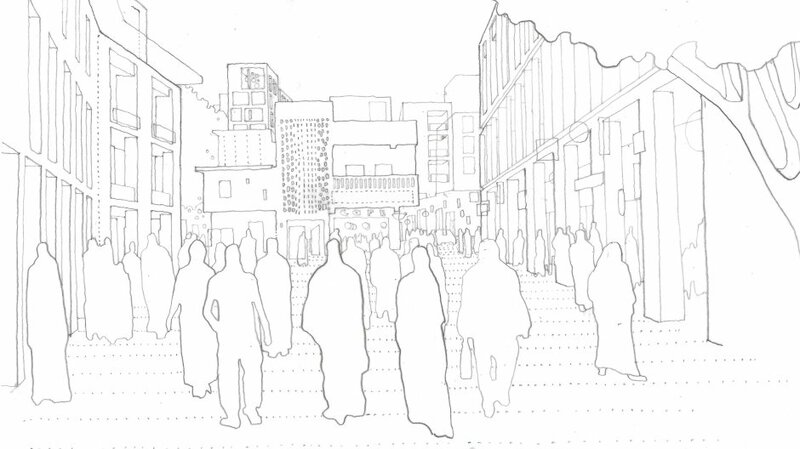 This year the theme is ‘The Open City’ which is focussed on mobility within the city, and in particular how designers can improve the experience of movement, thereby ensuring that buildings and the public realm are open and accessible to all. 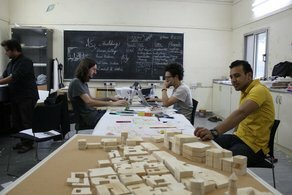 At the end of the residency, a winning team is awarded the Unlimited Doha Design Prize with a grant enabling them to develop the project proposal. We're thrilled to announce that 'City of Play' is the winning project of the Unlimited Doha Design Prize 2016. 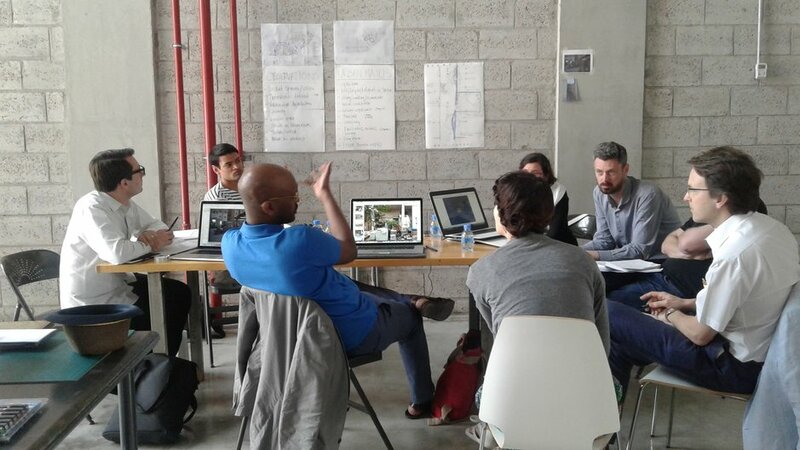 The week long design residency took place this March in Doha and brought together shortlisted participants from the UK and the Gulf, working in diverse fields from architecture and design, to archaeology and academia. 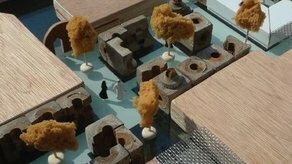 The winning project, 'City of Play', was developed by a team formed of ScottWhitbyStudio (Alex Scott-Whitby and Cherng-Min Teong) from the UK, and Omer Can Aksoy, Gizem Kahraman and Deena Al Terawi from the Gulf. 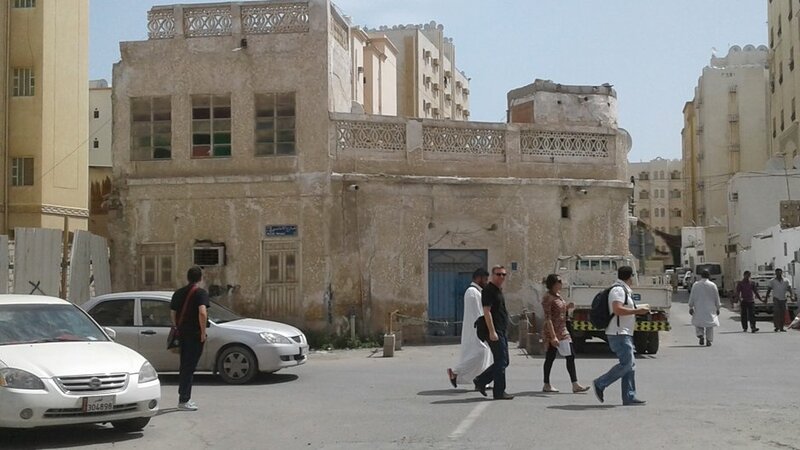 During the residency, the participants explored the heritage and built environment of Doha, old and new, and worked in mixed teams to create proposals responding to the theme of 'The Open City'. The teams were encouraged to develop new ideas and innovative design solutions to help improve the experience of movement and accessibility within Doha and beyond. The winning team took the future Qatari World Cup tournament as it's starting point and placed a focus on ‘play’ in their proposal. Utilising the team’s diverse skill set, which included archaeology alongside architecture, they proposed a concept for a contemporary city that builds upon the best of it's past, in order to cater for the future of new urban communities. The project presents a vision for education and family life at the heart of the city. By creating a chain of street and public space transformations, the proposal seeks to humanise and revitalise the city's historic fabric; to achieve an inclusive, accessible re-birth of a much-loved part of Doha. A total of 21 designers participated in the Unlimited Doha Design Prize 2016 residency. 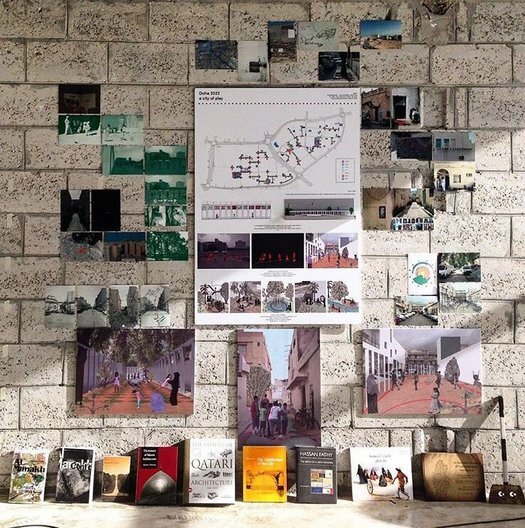 Each benefitted from a series of talks given by local and international experts in the fields of architecture, urban design, engineering, transport planning, and development processes. 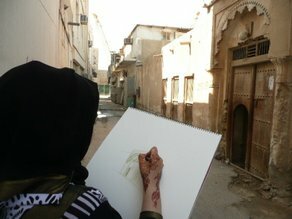 In addition they had the chance to build lasting professional and creative connections and to work in Doha, one of the youngest and most dynamic cities in the Gulf region, where the current pace of change is creating exciting opportunities for designers to shape the future lives of inhabitants. 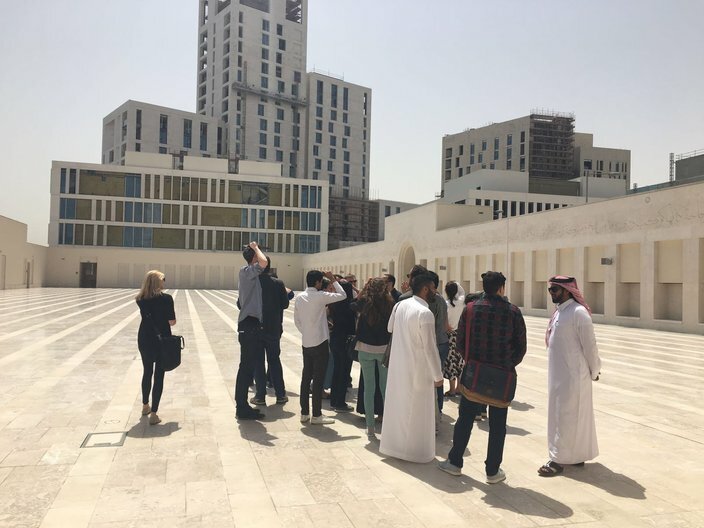 In addition to site visits to Old Doha and to emerging new areas of the city, participants met with the teams charged with delivering the new stadiums, transport infrastructure and public realm required for World Cup 2022. 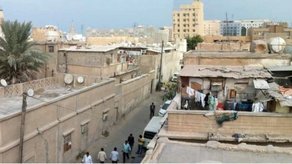 The teams focused their research on the areas of Al Jadeeda and Old Al Ghanem. 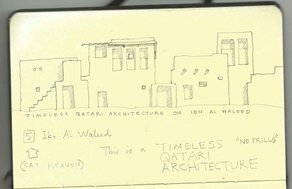 To provide context and insight, they visited Msheireb Downtown Doha (a 31 hectare site which has been redeveloped), Msheireb Museums and Msheireb Arts Centre (MAC) amongst others. 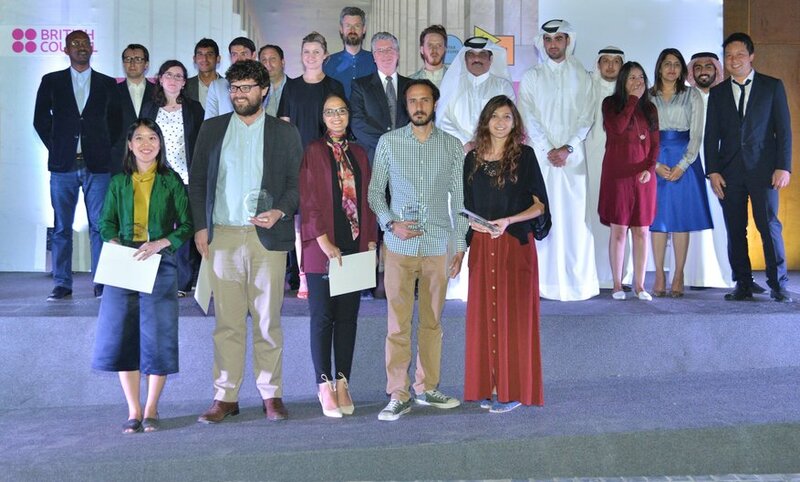 The teams were facilitated by Simon Gathercole, from architecture firm Allies and Morrison, with support from Iris Papadatou (you&me architecture, part of the winning team from the 2013 Old Doha Design Prize), and Doha Architecture Forum. “We are overwhelmed and tremendously honoured to have won the Doha Unlimited Design Prize. As a team and on behalf of all the participants the last 10 days have proved to be insightful, rewarding and hugely productive. We are so very grateful to all the organisers, sponsors, and partners for making our time in Qatar such a rich experience and we look forward to developing our winning concept 'The City of Play' in the coming year and, through this concept, make a positive contribution to the public realm of Doha." 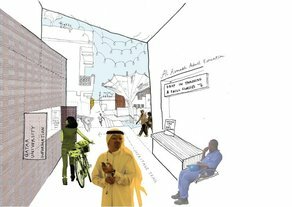 The winning team was awarded the Unlimited Doha Design Prize in the form of a grant for £15,000 which will allow them to develop the project proposal over the year ahead. Possibilities the team may explore include: creating an exhibition, developing a research project, publication, installation, public intervention and film. We look forward to keeping you posted!